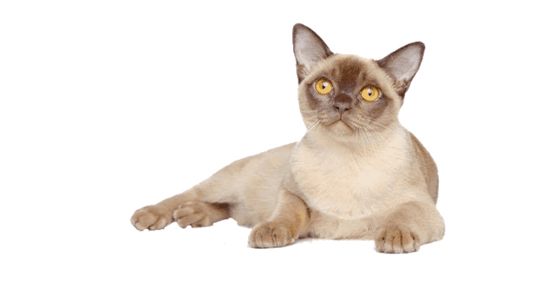 How would you like an in depth look at the Burmese cat breed profile from an expert? You've always been curious about Burmese cats and want to make sure the breed is right for you before finding a kitten. 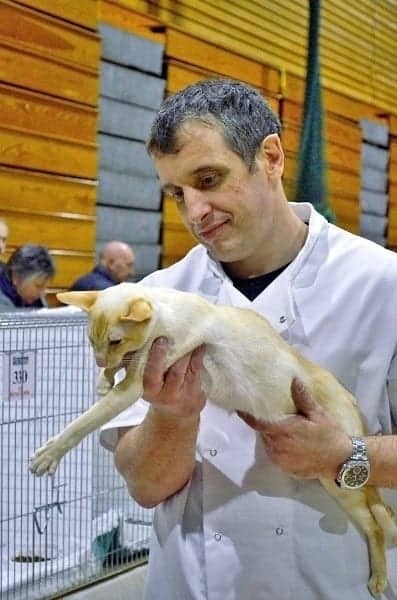 So as a GCCF cat judge and huge fan of Burmese cats I am sure I can help. Let me introduce you to the wonderful Burmese cat breed. The surprisingly athletic Burmese cat is a confident and outgoing breed of cat. Despite their heavy, compact appearance Burmese are particularly active and spirited. Because they are completely devoted to their owners Burmese have been nicknamed the ‘dog-cat’. Full of fun and with a loud voice, the Burmese cat could never be described as boring! Burmese are a medium sized cat and are surprisingly heavy for their size. They look compact and well muscled. Burmese are a very well balanced breed of cat, but they still look elegant and slender. Their legs, neck and tail all look in proportion to their bodies. Their coats are very fine and glossy and should be short and silky to the touch. Burmese have a slightly rounded head, with prominent cheekbones. Their eyes are large and round, giving them an alert appearance. They have medium sized rounded tipped ears that sit well apart on the top of their heads. Burmese come in four main colours, Dark Brown (or sable), Blue, Lilac and Chocolate brown (or champagne). Burmese have yellow eyes with any shade from chartreuse to amber being acceptable, with golden yellow being the most desirable eye colour. As the name suggests, the Burmese cat originates from Burma from a single female cat named Wong Mau. She was brought back from Burma by a sailor in around 1930. 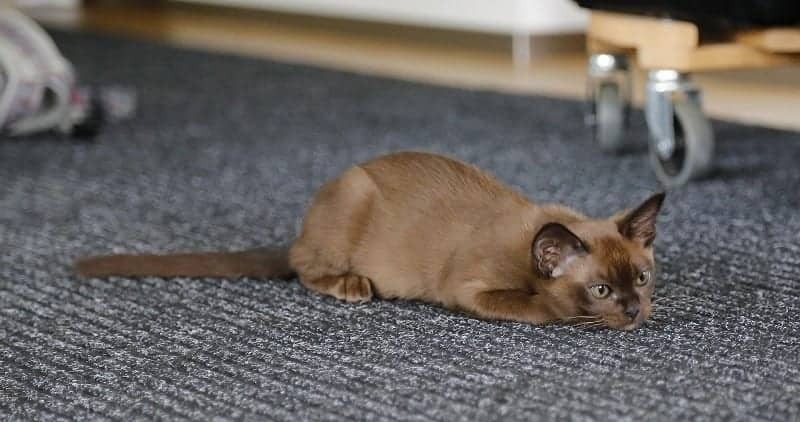 Wong Mau was dark brown in colour and produced the first litter of solid brown Burmese kittens. These kittens are the foundation of the Burmese breed as we know it today. Burmese cats arrived in the UK in 1949 and were first shown in the country at a show in London in 1952. This breed of cat is now popular throughout the world for its out-going personality and stunning looks. Burmese cats are very vocal.They rumble loudly like a wild cat when they feel like they need more attention. Burmese are well known for their out-going and extrovert personalities. As kittens, they can be described as ‘wild’ and ‘spirited’, loving nothing more than endless periods of play. Although they do calm down a little as the years pass, Burmese continue to be fearless, energetic and talkative cats all their lives. Burmese are incredibly sociable and do not do well if left on their own. They are better suited to a busy life, were they always have someone at home to spend time with them. Burmese can show dominance towards other cats so it is best to introduce them to another cat when they are kittens. They make great companions for children, due to their abundance of energy. "﻿A very active breed, if you are looking for a quiet lap-cat as a companion then perhaps the Burmese isn’t for you!" Burmese are easy to groom and they do not shed too much. A weekly brush with a rubber comb is all that is required. To keep your Burmese looking as silky as possible, finish the grooming with a quick polish from a chamois leather. Remember that, like all cats, your Burmese will need their claws clipping and their teeth checking regularly. In general Burmese are a healthy breed of cat but, as with all pedigree cats, there are a couple of health issues to watch out for. Feline hyperaesthesia syndrome, where the cat becomes very sensitive to being touched and may start to self harm, by biting itself or over grooming. Hypokalemia (low blood potassium) which can lead to muscle weakness. Diabetes occurs within the Burmese gene pool more commonly than it does within most other breeds. They can also be more prone to stones in their urinary tracts that other breeds so always be careful to buy your kitten from a responsible breeder. Below are some Burmese cat and kitten pictures, please feel free to contact us if you would like to contribute any pictures of your own Burmese cats and kittens, we would love to include them! How long do Burmese cats live? Life expectancy of a Burmese cat is generally good with reported lifespan of 16-18 years. However some live much longer or shorter lives. Do Burmese cats like other cats, dogs and children? Burmese are the perfect choice for families with children and cat-friendly dogs. They will live happily with other cats but introduce them slowly. Though no cat is truly hypoallergenic Burmese cats are known as one of the more hypoallergenic breeds. What do Burmese cats eat? Feed them a premium quality complete diet cat food just like you would any other cat. If at all possible feed your cat the food the breeder advises.